2 Mar 2018 – The UK has had two mass shootings in modern history. The first was known as the Hungerford Massacre, the second the Dunblane School Massacre. The Hungerford Massacre in August 1987 involved Michael Ryan shooting dead 16 people and wounding another 15 in a series of attacks during the same day, before he shot himself. In the attack, Ryan used a handgun and two semi-automatic rifles. The Dunblane School Massacre was in March 1996. Thomas Hamilton attacked Dunblane Primary school, killing 16 children and a teacher, and then killing himself. Hamilton used four handguns, all of which were legally owned by him. They included two 9mm Brownings and two .357 Magnums. These were the only two mass shootings in the UK since records began in 1969, and Dunblane was the only school shooting. A third shooting, the Cumbria Shootings, in 2010, led to 12 deaths over a day, in 30 locations, using a shotgun and a .22 rifle, after handguns and automatic rifles had already been banned. After Hungerford, the government passed the Firearms (Amendment) Act 1988, which was passed in November 1988 and came into force two months later, 18 months after the massacre. The act banned semi-automatic rifles and placed tight restrictions on the ownership of shotguns with a capacity of more than three cartridges. After Dunblane, the government commissioned the Cullen Report in October of the same year. This proposed restrictions on handgun ownership, and a possible ban. The families of the dead, and other supporters, launched a campaign to ban handguns. In 1997 the Conservative government, under John Major, passed the Firearms (Amendment) Act 1997 which banned all handguns apart from single loading .22 pistols, mainly used in competition sports. Later that year, the Labour government of Tony Blair amended that act, and banned all handguns including .22 sporting guns. The ban also covered blank-firing starting pistols that might be easily converted. As a result, competition pistol shooting was effectively banned in the UK in 1997. An exemption was granted for the 2012 Olympics, but other than that the UK Olympic pistol team have to practice abroad. Hunting rifles and shotguns are still allowed, but subject to strict controls, including a firearm or shotgun certificate issued by the police. 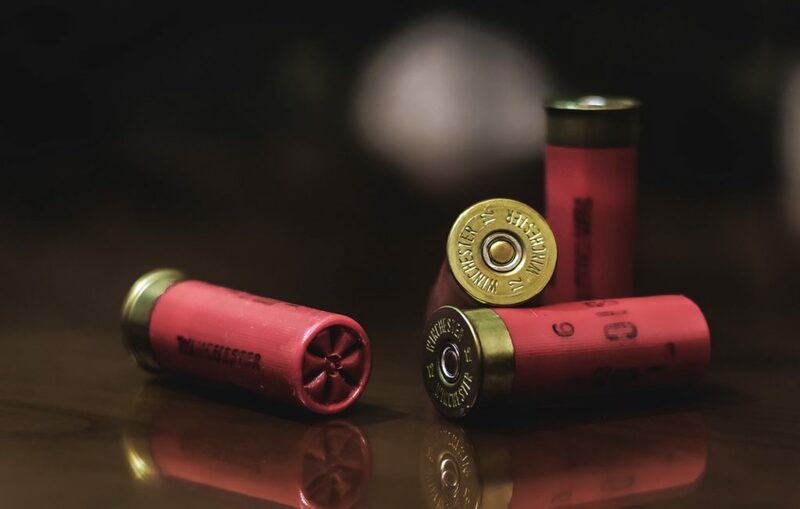 Ammunition for these weapons can only be purchased by someone holding a firearm or shotgun certificate. To obtain a firearm license, a person must provide the police with a valid reason for wanting to own each firearm, and each one is listed on their license. Self defence has not been a valid or legal reason to own a firearm since 1968. Anyone who has been sentenced to more than 3 years in prison is prohibited from obtaining a firearm license for life. Prison sentences for illegal possession of a firearm range from a mandatory minimum sentence of 5 years, to a maximum of 14 years, with an unlimited fine. Crimes were created by these acts, include ‘trespassing with a firearm,’ which leads to punishment regardless of why the person was trespassing, or whether the firearm was loaded. Consequently, in the UK gun ownership stands at around 6.5 guns per 100 people, compared to 101 guns per 100 in the US. After the 1997 laws were passed, gun amnesties encouraged people to hand in weapons, and the government purchased 162,000 guns and 700 tons of ammunition from citizens, costing them $200m. Once owning a handgun is illegal, it means that anyone who owns one is a criminal. The minimum sentence of 5 years for possession of a firearm discourages criminals from using guns when committing crimes. A Londoner is as likely as a New Yorker to be robbed in the street, but the New Yorker is 54 times more likely to be killed in the process. According to government figures, in the UK in 2015/16 there were 1528 robberies involving illegal firearms, and 110 burglaries involving illegal firearms. Of all firearm offences for that year, 1250 resulted in some sort of injury, and 26 resulted in deaths. In the UK, most police are not armed. Specialist firearms units, formed currently of 6278 armed officers, respond to incidents involving guns. In 2017, UK government figures show that there were 15,705 operations involving police firearms units. This figure represents a slight rise on the previous year, but is down from 23,181 in 2009. Any time the police discharge a weapon, an independent inquiry is held, regardless of whether anyone was harmed. In 2017, police officers discharged their weapons in only 10 of the 15,705 armed operations, a much higher number due to the rise in terror attacks that year. Gun deaths in the UK tend to be around 50–60 per year, for a population of 52m people. The American population is 6 times larger than that of the UK, but gun deaths are about 160 times higher. The UK is far from perfect, and has its own problems with crime. Knife crime and occasional gun crime make the headlines, especially in parts of London. But since banning guns in 1997 it has become incredibly rare to be injured by a firearm, let alone to be killed by one. Average criminals do not use guns because they risk both a mandatory 5 year prison sentence, and being shot. Civilians don’t need guns to protect themselves, and the police are mainly unarmed too. Tobias Stone – Writing about politics, history, and society. An outsider’s view on the USA, insiders view on the UK, and cautious optimist. So Americans really are exceptional, and that is not necessarily something to be proud of. I am Australian, where laws were also passed after the serious events of 1996. Even before that, I never felt afraid of living a normal life, city or country, all over the continent, as violent actions, although of course present, were not likely.